For many people, it’s usually a routine—check phone, eat breakfast, take a shower and then get into the grind—whether it’s school, work, chores or errands. For Dr. Thomas Lodi, integrative oncology and metabolic medicine expert, the best way to start the day is to meditate. According to Dr. Lodi, thinking is a “happening,” not a “doing.” It is not something that we can control. What we can do is turn it off and slow it down. Mediation is the method by which we can turn off our thinking. What is Meditation? Meditation can be defined as techniques intended to “encourage a heightened state of awareness and focused intention.” It can be likened into changing the course of a stream—which represents our consciousness—thus changing the way we perceive and respond to things around us. Some people think that meditation is always linked to religious practice. Meditation can be practiced independently of any religious affiliation. It can be used as part of a holistic wellness regimen or as a psychotherapeutic technique. One type of meditation is concentrative meditation wherein the goal is to tune out everything else and focus on a specific object or activity, like breathing or a mantra. Another type is mindfulness meditation. In this practice, the focus is on making yourself more open and self-aware. 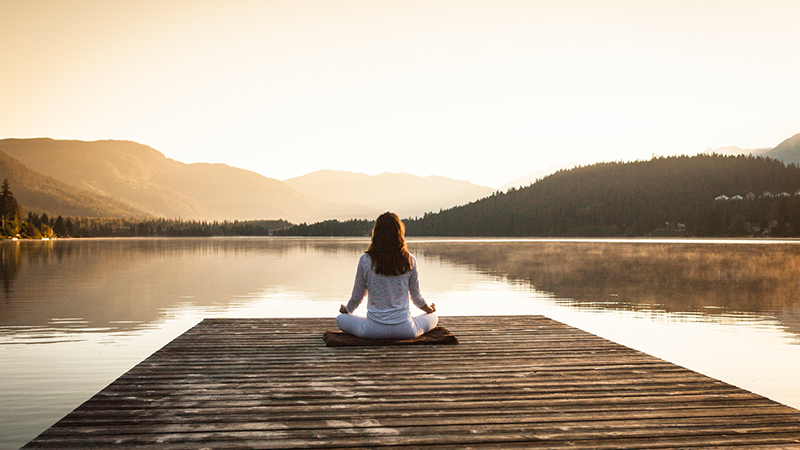 This type of meditation also includes stress reduction and cognitive therapy techniques which can be used to help manage issues like depression. In Buddhist practice, meditation is seen as a way to transform the mind. Buddhist techniques promote concentration, clarity, positive emotions and a calmness that allows you to see the true nature of things. Meditation helps focus the mind, which can eventually help you achieve a more energized and peaceful state, and consequently, a better understanding of life. The benefits of meditation manifest physically, mentally, emotionally and psychologically. Research and anecdotal evidence show that, among others, it helps regular practitioners in reducing stress; improving emotional well-being; better managing symptoms of anxiety and sleep disorders as well as pain issues and high blood pressure; improving memory and promoting self-awareness. There is no one or correct way to practice meditation, although there are guided techniques that can help better achieve your purpose. So, when you wake up tomorrow, remember: meditate before anything else. Want to learn more about the true nature of health? Schedule an online consultation with Dr. Lodi or check out his video lecture series.